Xylitol is a carbohydrate that naturally occurs in vegetables and fruits. The pure form of xylitol has the appearance and taste of sugar. According to Xylitol.org, xylitol is used as a sweetener and is labelled as a reduced-calorie substance since it is only partly absorbed and used by your body. Xylitol is used as a food additive in some of the foods you might eat and may be a good alternative to sugar for people with diabetes. In addition, Xylitol.org states that it can reduce plaque and cavity formation in your teeth. 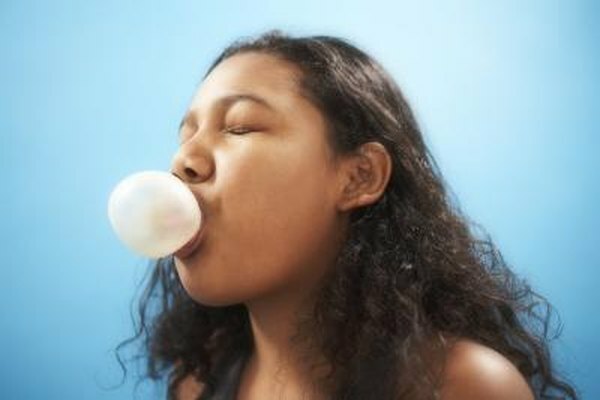 The chewing gum or mints you consume may contain xylitol, according to the California Dental Association. They state that you must check the ingredient list to see if xylitol is an ingredient. In order to benefit from the tooth decay-prevention properties of xylitol, the California Dental Association says that xylitol must be listed as the first ingredient. A total intake of 5 g of these substances is needed to have a beneficial effect for your teeth. The baked goods you consume may contain xylitol. Xylitol is an alternative for sugar and according to Xylitol.org, it offers 40 percent fewer calories than regular sugar. You may need to add xylitol in moderation until you are comfortable with the amount of sweetness. In addition, the California Dental Association reports that some people may experience soft stools or a laxative effect upon xylitol use since it acts as a fiber and digests slowly. Certain jams and energy bars may contain xylitol, according to a study published in the 2009 "Advanced Dental Research." This study informs that several brand-names may include xylitol as a form of sweetener. You can check ingredient lists to see if xylitol is added to any of foods you consume.